Twenty-three former members of the Dallas Cowboys professional football team organization and one current member, Jerry Jones, have been voted into the Pro Football Hall of Fame. They include former head coach Tom Landry, former president and general manager Tex Schramm and storied players like former quarterback Roger Staubach. Jones, the current owner, president, and CEO is in the class of 2017 as the Cowboys' 23rd honoree. Since purchasing the team in 1989, Jones has made the Dallas Cowboys one of the winningest in the history of the National Football League (NFL), where the team competes as a member of the National Football Conference East division. Jones' business savvy and ability to pick superb coaches led the team to three Super Bowl wins in the 1990s (1993, 1994, 1995), the first since Cowboys Super Bowl victories in 1978 and 1972. After the Pittsburg Steelers with six Super Bowl wins, Dallas is second with five victories. The Cowboys share the honor with the New England Patriots (five) and the San Francisco 49ers (five). In 1996, he and the NFL reached an agreement that made it possible for the Cowboys and other NFL teams to secure their own lucrative licensing deals. And in 2009, Jones moved the team into a new, state-of-the-art stadium with retractable roof, located in Arlington, Texas, a suburb midway between Dallas and Fort Worth. In 2013, he negotiated with AT&T to change the name of the facility from Cowboys Stadium to AT&T Stadium, which remains the name. The Pro Football Hall of Fame, headquartered in Canton, Ohio, was established in 1963 "to honor exceptional individuals from professional football," according to ESPN. "Although the Hall of Fame itself is not officially affiliated with the NFL," says ESPN, "all but one of the inductees has spent at least some portion of his professional career in the NFL. "New members are [elected primarily by football writers and] announced annually the weekend of the Super Bowl," then "enshrined" in August just before the start of the NFL preseason. ESPN says that players and coaches are eligible to be named to the Pro Football Hall of Fame after being retired for five years. Other "contributors," such as team owners or league executives, may come up for a membership vote at any time. When "enshrined," every new member gets the rare gold jacket of membership in this extraordinary group. As of 2017, there were a total of 310 Hall of Famers. 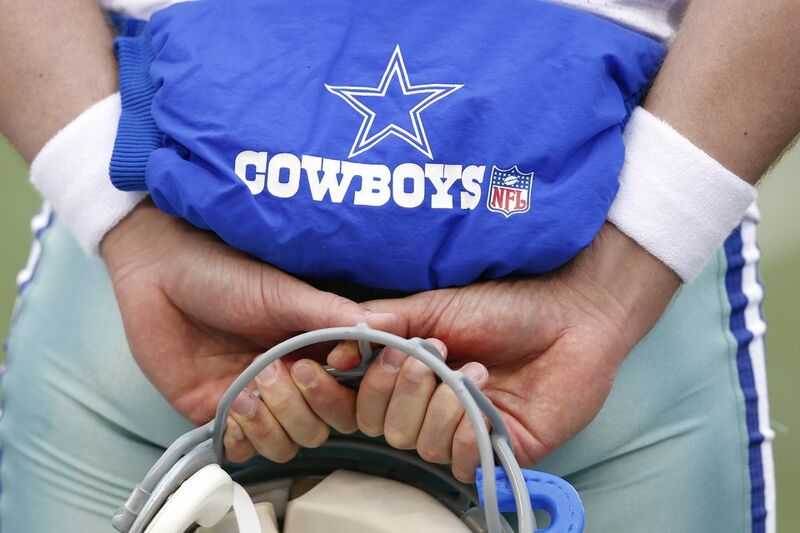 * Years in parentheses are the years spent working for the Dallas Cowboys.